This White Pumpkin-Gramdal Kootu is an easy, tasty and popular side-dish in Tamil Nadu and Kerala which needs 10 mins microwave cooking-time only. Try at home and enjoy this side-dish!. Take a microwave bowl and mix all the ingredients and Microwave(high) this mixture 10 mins. 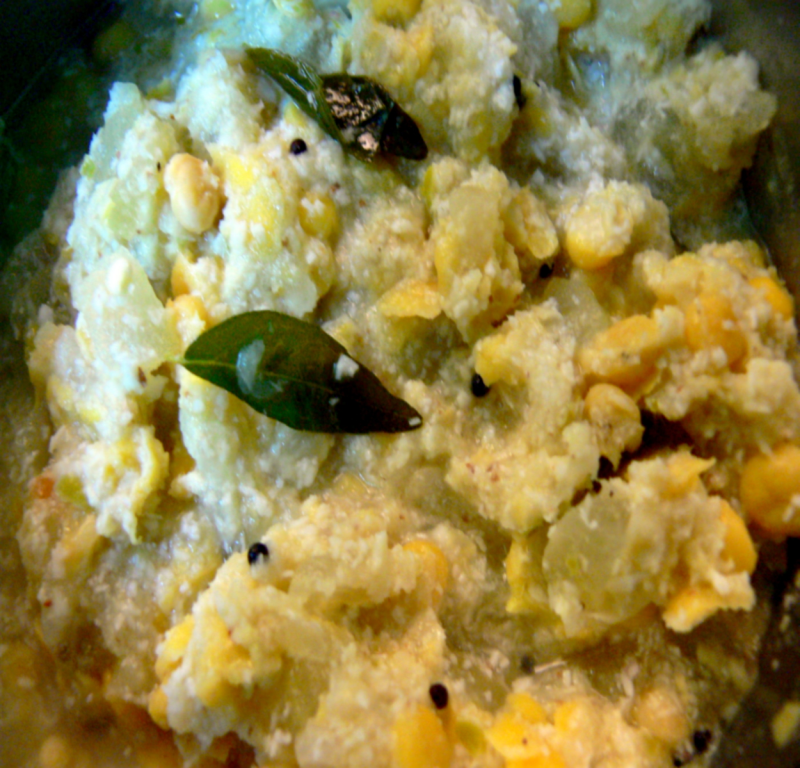 Serve this White Pumpkin-Gramdal Kootu hot with rice and sambar or chapathis.